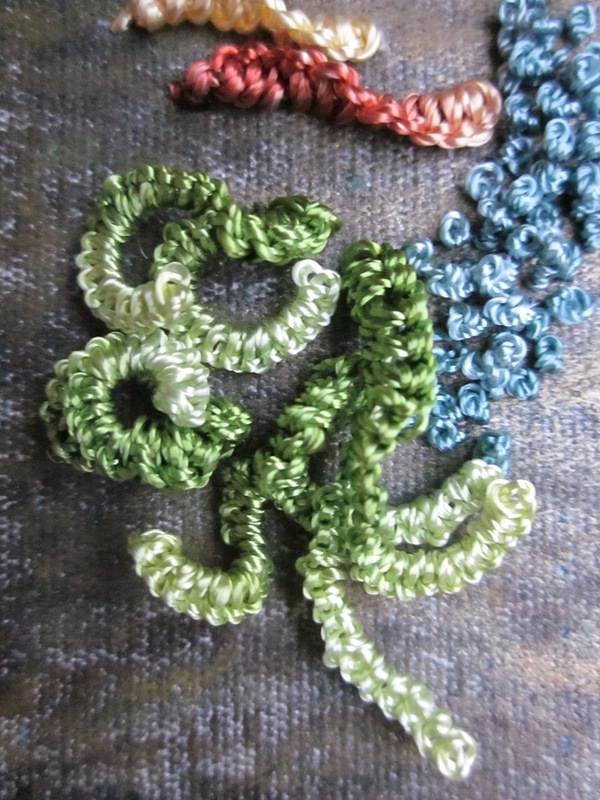 Adventures in Stitching: A Fun Fern! I had mentioned that I wanted my Brazilian Embroidery DK Designs forest piece to be the last finish of 2010. That didn't happen...there was more to finish and less time than I had anticipated...but I am still making progress! Overall, the section I'm working on doesn't look like much right now, but I love this little fern so much I thought I'd share. It is made using a two-needle cast-on technique, and was really fun. Made me want to put these ferns all over the place, but that's probably not the best choice design-wise.